Do you have fresh garden tomatoes? This recipes is delicious with fresh garden tomatoes! This is yet another recipe I love because it is customizable for each family member’s preferences. 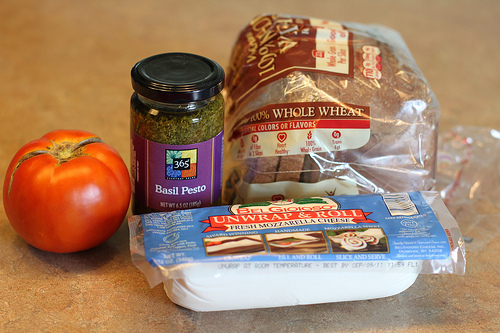 Spread a thin layer of Basil Pesto on one side of the bread. Layer a thickly cut tomato with mozzarella cheese. 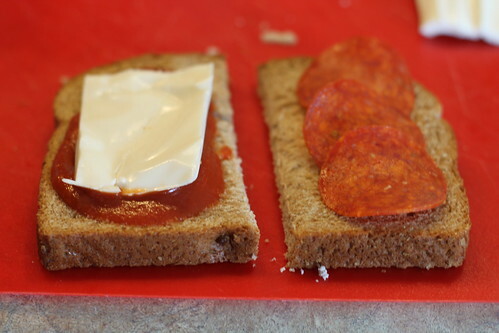 Add pasta sauce to the other piece of bread if you want. 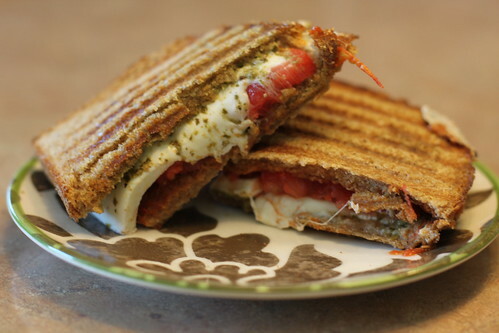 Cook in a Panini Maker or cook like a grilled cheese. I have the Cuisinart GR-3 Griddler Jr 3-in-1 Nonstick Countertop Grill which has been a good investment as we use it quite often. Kids can also use it by themselves as it is easy to operate than the stove. For the little kids, I made half sandwiches with pepperoni, sauce, and mozzarella. Everyone loved the customized sandwich. For the little ones, I left off the pesto, since it’s green. For the older guys, I put pepperoni on it. My oldest daughter and I ate it vegetarian style. Everyone was happy. I’d skip the freezer on this one! Yum! I love to make these on sourdough. My boys love pesto. I just froze a double batch this weekend so we can enjoy it all winter. I just made this for lunch and it is delish! thanks for the post! 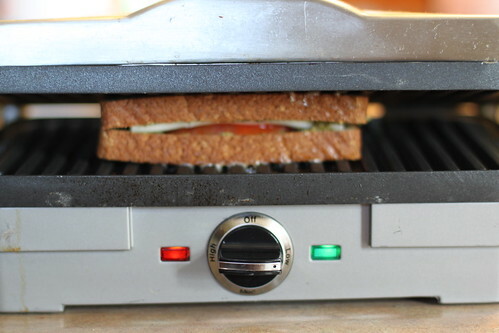 I don’t have a panini maker : ( just a small George Forman grill and it worked pretty good. Yep, I would think that would work too! Thanks for sharing this! These look so yummy… I can’t wait to try them.